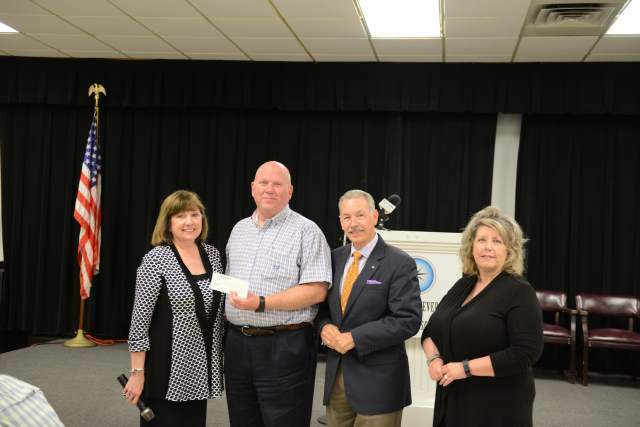 The North Shreveport Business Association made a $500.00 donation in memory of their long-time friend and supporter, Dr. J. Durell Tuberville. The donation will go to support the children's burn camp "Camp I'm Still Me" which is part of the Percy R. Johnson Burn Foundation. The presentation was made at the September 12, 2017 luncheon meeting. Craig Kennedy, Jim Taliaferro, and Patti Bornaman of Personal Solutions, Inc. accepted the donation.